The TNT Board does not endorse any particular candidate. Members are encouraged to research the candidates before casting their vote. Candidates are listed in alphabetical order. I am honored to be nominated for the position of Texas NENA Vice President! My name is Maria Lemonds, ENP I have been married to my wonderful, supportive husband, Chris, for 26 years. Our Children, Falon and Dutch, are furry and have four legs. I am also the proud Aunt of 9 Nephews, 3 Nieces, and 3 grandnieces. I have been employed with Collin County Sheriff’s office for over 20 years; 6 years as a line level dispatcher and 14 years as a shift supervisor. I love working the console and still do so at least twice a week so that I am able to assist in the training our new dispatchers. One of my passions is 9-1-1 Public Education. I participate in school presentations and the Citizens on Patrol Academy. I have also participated 2 FBI Leeda Leadership course s as well as NENA leadership webinars. I am a member of Texas NENA, Texas TERT, Texas 9-1-1 Trainers, and the Public Educators of Texas. I began my journey with Texas NENA in 2012 as a volunteer and in June 2015, I was elected to the Texas NENA board as Secretary. I served for two years and gained much insight on the workings of Texas NENA. I was responsible for taking minutes on all conference calls and verifying that information was correct and certified prior to being uploaded to the Texas NENA Website. In 2016, I served as the Finance co-chair for the Texas Public Safety Conference and in 2017-2018 I served as the Finance chair. In 2017, I was appointed as the Texas NENA Treasurer. One of my goals as Vice President of Texas Nena would be to raise money for the Juan Gomez Benevolence fund. This fund is beneficial for Telecommunicators and their families in their time of need. I want to ensure that everyone in the 9-1-1 Community is aware of this valuable resource and that funds will be available when needed. One way to accomplish this goal would be to have raffles at the Spring and Fall Conferences. I am an active member of TERT and was deployed during Hurricane Harvey. Texas TERT – Telecommunicator Emergency Response Taskforce are a group dedicated professionals who are ready to deploy to areas of disaster to assist PSAP’s. This program is beneficial to everyone in the 9-1-1 community because you never know when disaster is going to strike. Texas TERT is in need of trainers and also agencies that will allow their telecommunicators to participate in the program. During my Hurricane Harvey Deployment, shift supervisors did not know what to expect when we arrived and were pleasantly surprised when they found out the services that we were able to offer them. I am so happy that I was able to participate in the Hurricane Harvey deployment. I now have lifelong friends from Dickenson PD. I have been on the TX NENA Board for 4 years, 2 years as Secretary and 2 years as Treasurer and have enjoyed every minute of it. I have experience with how to prepare a Budgets, 3 years as Finance Chair for Joint Conference and 2 years as Treasurer for TX NENA. As Secretary I have experience with maintaining records of all kinds, email lists and lists of Board members. Making sure the information gets to the Webmaster to be uploaded onto our website. Since 2012 I have done different positions for the Joint Conference, 2012 – 2014 Gift Chair and Co- Chair, 2014 – 2016 Sessions Co-Chair and Chair, 2016 to present Finance Co-Chair and Chair. Lastly during the Harvey Relief I was only a small part of the effort, however it was my responsibility to monitor the incoming donations and then make sure that those who had sent in a request for assistance received the monies that we had collected. 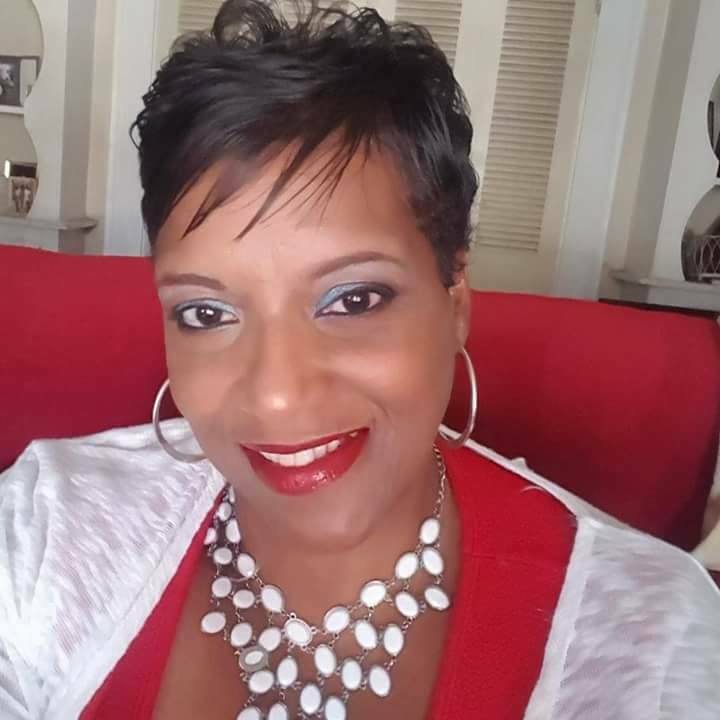 Let me introduce myself to you - I am the one and only Charlesetta Malone, candidate for the position of Vice President of Texas NENA. I am the 9-1-1 Public Safety Answering Point (PSAP) Operations Coordinator for the Deep East Texas Council of Governments (DETCOG), serving 15 PSAPs in a 12-county region. My tenure with the DETCOG encompasses 26 years of honorable service. 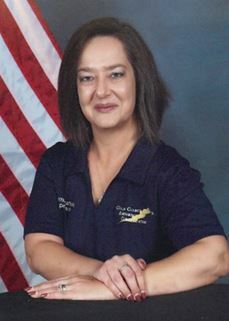 I’m currently responsible for enhancing citizen awareness through 9-1-1 public education presentations and activities, community relations, coordinating and conducting training for telecommunicators, monitoring and compliance assessments for the PSAPs, providing support to the PSAPs, and telecommunicator appreciation efforts for the “true” first responders. Certified Instructor for the Excel 9-1-1 and CSEC (Commission on State Emergency Communications) Americans with Disabilities Act Training for Communications Officers. I also serve as a member/volunteer for the Greater East Texas Community Action Head Start program (GETCAP) of San Jacinto. I serve as the Secretary for the Community Resource Coordination Groups (CRCG) of Texas for Polk and San Jacinto counties. I’m an active member of the West Side Church of Christ and serve as a volunteer with the Youth program and serve as Program Coordinator for the Annual Ladies’ Symposium. I was DETCOG’s Employee of the Year for 2012 and the CSEC 9-1-1 Public Educator of the Month for July 2014. Worked on local, state level for the implementation and passage of Kari’s Law to ensure that all citizens in Texas have direct access to 9-1-1 using a Multi-Line Telephone System (MLTS). This endeavor was signed into Federal Law on February 16, 2018. Work with the Texas NENA President on implementation of the goals and objectives for the Texas NENA Strategic Plan and furthering the goals of National NENA. I am truly excited about serving you – the members of NENA, and the citizens of our great state. I am very passionate about the 9-1-1 profession and an advocate for telecommunicators. I want to make sure that Texas continues to shine across the nation as a leader in the 9-1-1 and public safety profession. I am happy to be here and proud to serve! I want to be your voice. I stand committed to you and the citizens we serve. On that note, let me urge you to take a moment of your time to select the best candidate - VOTE FOR ME – Charlesetta Malone, Vice President for Texas NENA! Providing service with a Smile because Attitude is Everything! I had been dedicated my professional career to the City of Laredo accomplishing 29 years of service. I had held various positions within the organization, but ultimately I had spread my wings working in the 9-1-1 Regional Administration Office since 2007. I currently hold the position of 9-1-1 Program Specialist and I’m responsible for assisting in the administration of 9-1-1 for the South Texas Region, which includes the counties of Webb, Jim Hogg, Zapata and Starr with a total of eight public safety answering points. Amongst many other responsibilities, I manage the Public Education and Training Program for our Telecommunicators in the South Texas Region. My goal is to effectively communicate the importance of 9-1-1 in our community, region, state and nation. One of my achievements was the International Border Coalition in conjunction with CSEC and other sister cities that participated to make this event a success. In addition, I had been part of the Public Educators of Texas and serving in the Committees as Mentoring Chairperson, Telecommunicators Recognition Committee Chair and I was recently elected as the Treasure. I am also Chair for the Public Education Committee for the Texas Association of Regional Council. I had been recognize twice by the Commission on State Emergency Communications as a Public Educator in 2014 & 2017. I was your South Texas Coordinator in 2016, and I would like to have the opportunity to serve you again! 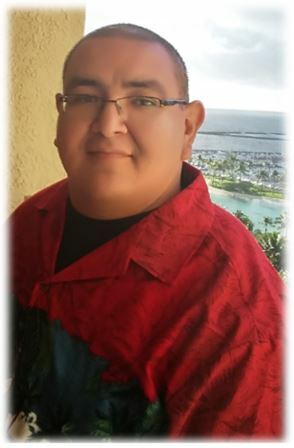 My name is Jose Garcia Jr. and I am the 9-1-1 Public Educator & Training Coordinator for the Cameron County Emergency Communication District in Harlingen, Texas. I would like to ask you for your support as am currently running for Texas NENA South Regional Coordinator. I have 7 years of experience as an Emergency Communications Operator and 6 years of experience as a Peace Officer in the State of Texas. I also currently serve as a part-time Dispatcher for the South Padre Island Police Department. In April of 2017 I joined the Cameron County Emergency Communication District as their 9-1-1 Public Educator and Training Coordinator. I enjoy participating in community events because they give me the opportunity to share 9-1-1 educational information with the public. The most rewarding part of serving as the Training Coordinator is having the opportunity to organize training for 9-1-1 Telecommunicators from 9 different PSAPs in our county. I am also responsible for planning, developing, and implementing continuing education training to assist and ensure telecommunicators meet TCOLE licensing requirements. I have had the opportunity to serve as a DPS TCIC Associate Trainer, and as a Communication Training Officer. I recently completed NENA’s Center Management Certification Program and acquired APCO’s Communication Training Officer, APCO’s Fire Service Communication, and APCO’s Law Enforcement Communication Instructor Certification. I believe training is crucial for a person’s professional development. I would like to ask you for your support in representing you as Texas NENA’s South Regional Coordinator.